In July 2014, the 10-year old company, AMain Hobbies, a successful internet retailer of remote controlled cars/trucks, helicopters, airplanes, and drones, decided to branch into the biking industry and created AMain Cycling. AMain Sports & Hobbies' mission is a commitment to sharing the fun, camaraderie, and joy of sports and hobbies with everyone. Whether you’re new to biking, or an expert cyclist, you can rest assured our team of passionate experts and professionals will check, double-check and triple-check your order, and provide the best before- and after-sale support in the industry. AMain Cycling is part of the AMain Sports & Hobbies multi channel retailer. We have operated out of the Chico, California area since 2004. In that time, both consumers and suppliers have recognized us as being a trusted retailer and business partner. 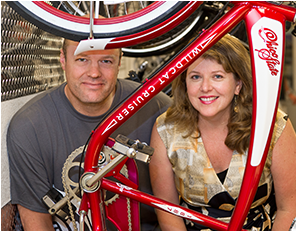 In May, 2004, Kendall and Kelly Bennett started AMain Hobbies out of their 2-car garage in sunny Chico, California. 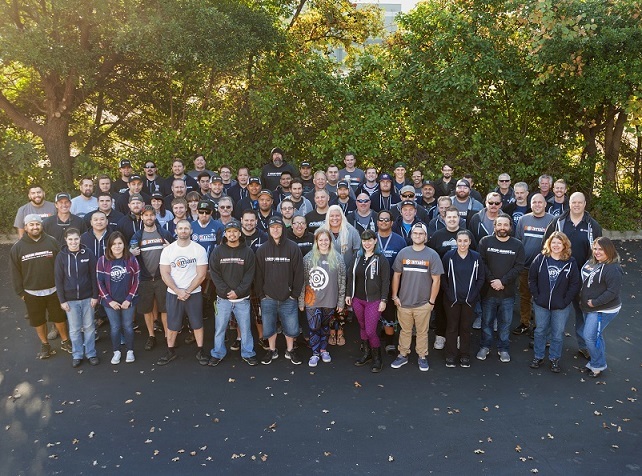 Kendall, with his passion for RC hobbies, having a software engineering degree and experience running a successful software development company, decided to start the company of his dreams. Kelly, coming from an extensive customer service and human resources background, pitched in with helping customers by phone and filled orders, while Kendall worked his wizardry with the website. The company grew quickly; mostly from word of mouth of RC racers on forums. AMain Hobbies gained its quality reputation by maintaining a broad selection of inventory, delivering excellent customer service, providing expedited shipping at reasonable rates, and giving back to the RC community by sponsoring races and charitable events. The business has had to move to 3 different locations in its first ten years of business so it could continue to grow and succeed. We are now located in a 60,000 square foot building which houses our distribution center and offices. 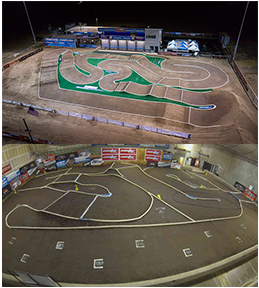 We have an RC track: Silver Dollar RC Raceway, which is an outdoor state-of-the-art RC raceway located at the Silver Dollar Fairgrounds in Chico, CA, that hosted the 2013 IFMAR Worlds race event. We also run two successful retail stores in town: AMain Hobbies which sells RC hobby products and AMain Cycling which is a leading retailer of cycling products. Check out this RC Car Action article to read more about the history of AMain, as told by co-founders Kendall and Kelly Bennett. Building relationships with our people, and our customers, is the secret ingredient to AMain Cycling's success!